Nope. I don't understand the fascination with FF anyway. It's all about IQ right? After shooting with the X system for a year or so, I sold my Canon FF equipment. 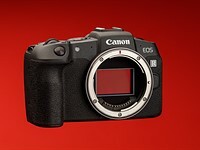 The difference in IQ between the Canon 5D II w/ 'L' lenses and the X-Pro1 was not significant. I have no reason to believe that a FF camera from Sony will be significantly better than a FF camera from Canon. Do I want to carry around bigger, heavier lenses - Nope. And on the subject of lenses - Fuji glass is exceptional. Sony lenses have been called many things - exceptional is not one of them. The Sony FE system may eventually offer some Zeiss glass and it will be excellent, big, heavy and very expensive. Obviously I haven't tried the latest offering, but I've owned a couple of Sony mirrorless cameras and DSLRs. Sony and I have very different ideas about how a camera is supposed to work and feel (personal taste). If I was obsessed with the idea of FF, I would still be lugging my Canon stuff around. 28 How do you justify f/1.4 Fuji primes?